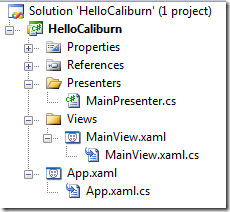 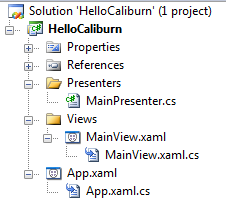 Caliburn gives a WPF developer a lot of helpers but for me the most important was to make me use presentation patterns properly, make my code neat, well organized, easy to read. 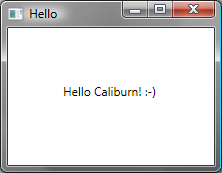 I also hope to learn some about testability goods that comes with using Caliburn. 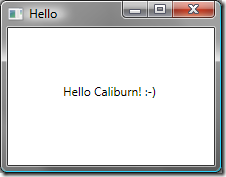 This post is based on an application given as a sample with the release and shows how to build a very first Cliburn application.